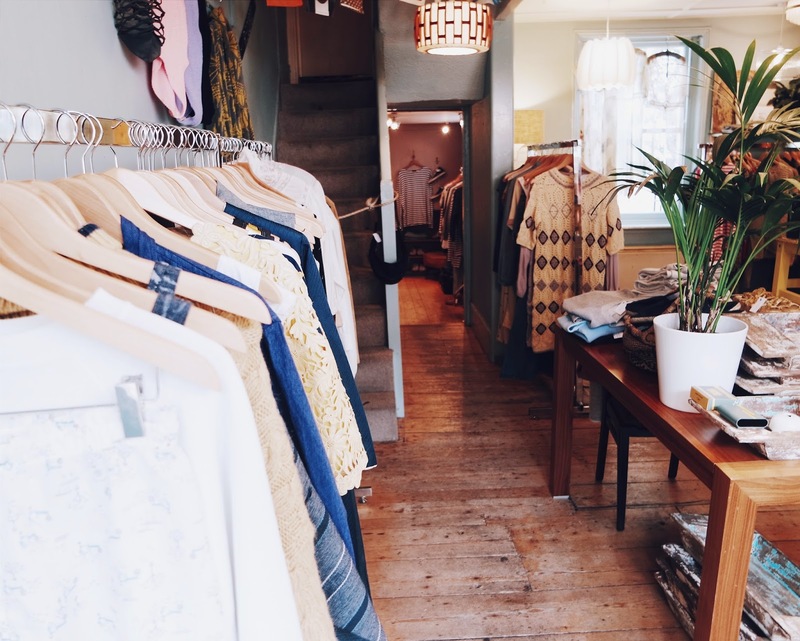 Brighton is full up of vintage stores and quirky clothes shops however, I was especially really excited to pop into Wolf and Gypsy Vintage during my stay there. 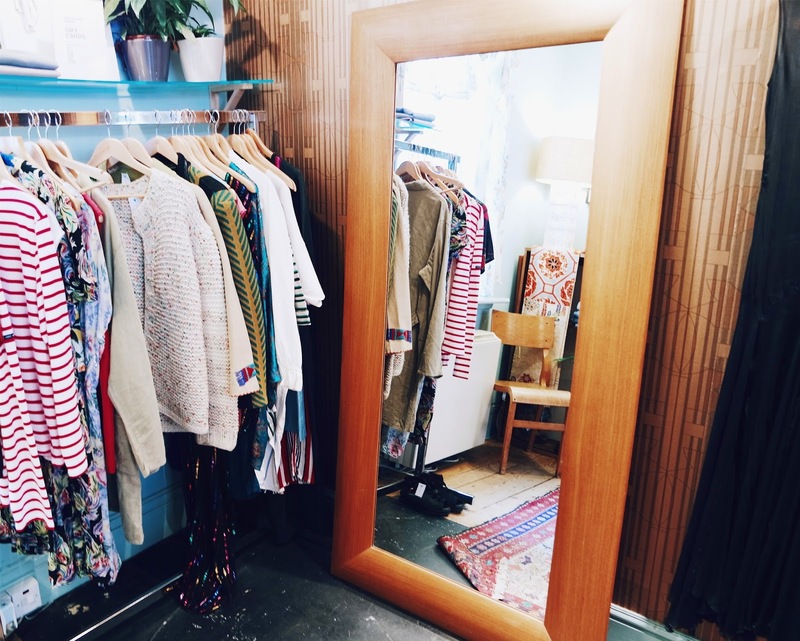 Their stock is some of the coolest pieces of second hand clothing, as well as some lovely pieces of jewellery. When I first entered I immediately noticed stripes,denim and mustard yellow- three of my favourite things at the moment.They're pieces are hung nicely on clothing rails which are super easy to to have a mooch through and you can see that although these pieces are vintage they match the current trends of the moment. Most of the items seem to have a 60s/70s style, which I adore, and are in such brilliant condition. 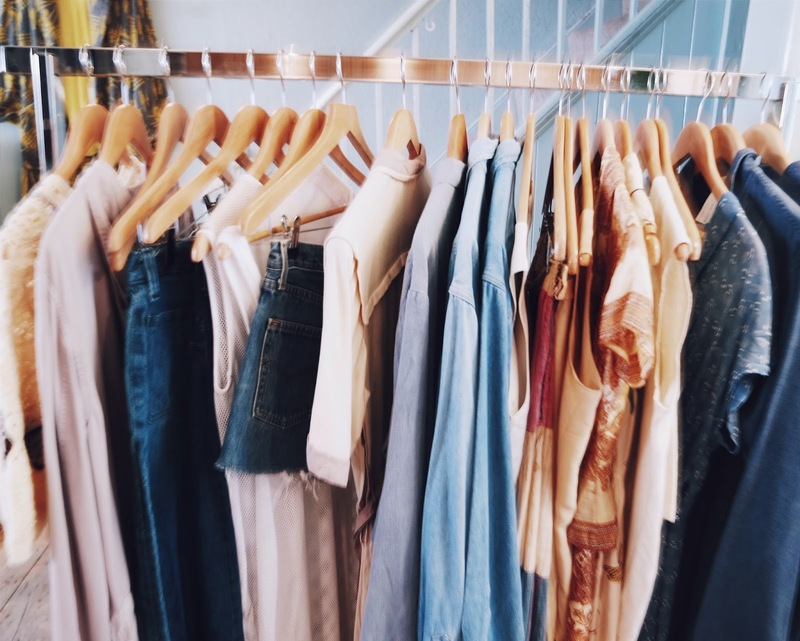 There was a mixture of both everyday clothing and some pieces that would be great for dressing up on a night out. The prices are super affordable too, everything falling between about £20-£50. The interior was right up my street with potted plants, quirky lamp shades and a gorgeous stand alone mirror. 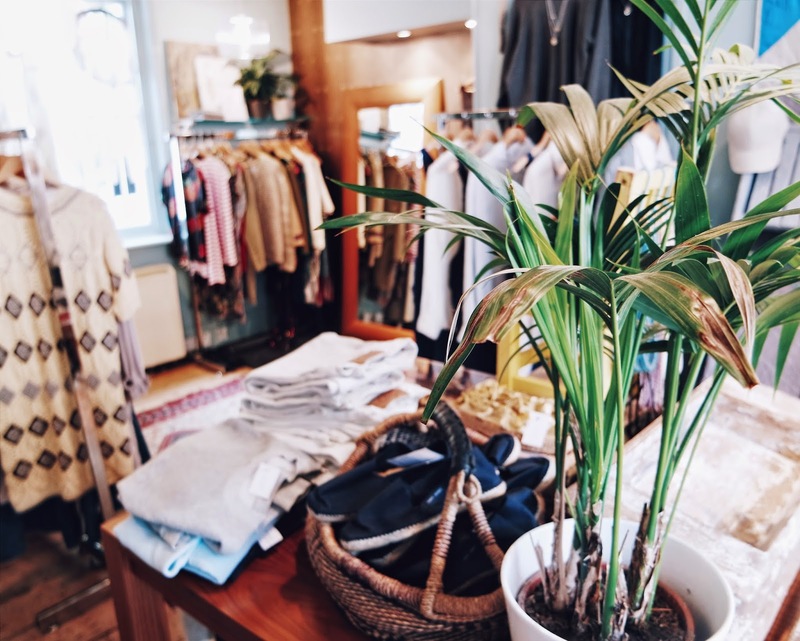 The dim lighting created a really chilled mood and I loved the way that the stock was split into men's and women's so it was easy to see what was in store for both genders without having to route through racks and racks of clothes. There were some gorgeous boho style lace dresses hung up in the back which were just truly stunning too! 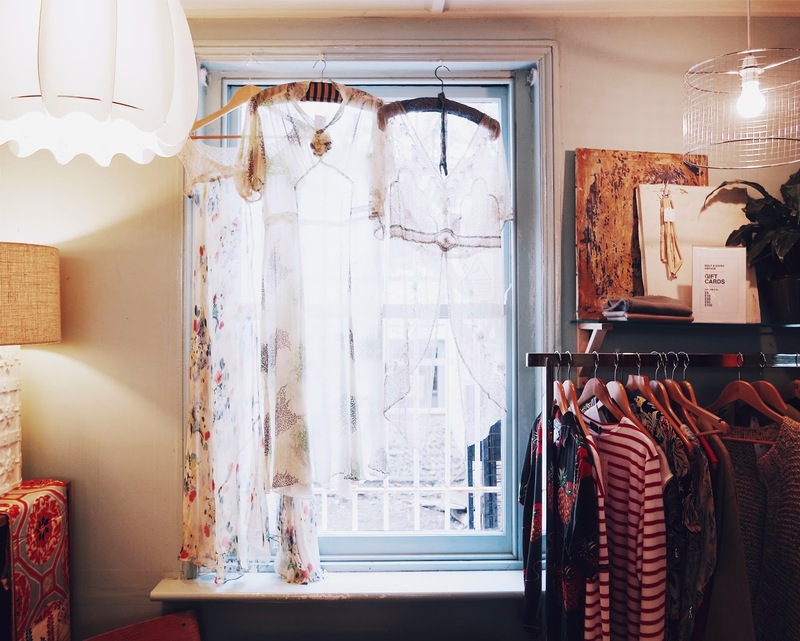 If you're in Brighton I definitely recommend you stop by and have a little look at what this lovely shop has to offer. Find them at 30 Sydney Street, Brighton, BN1 4EP.